Cardboard tubes are an inexpensive craft supply, and one which we always seem to have on hand. Even if you don’t usually save them, there always seems to be an almost empty roll of paper towels or something. Those paper roll crafts are some of our favorite kids crafts. 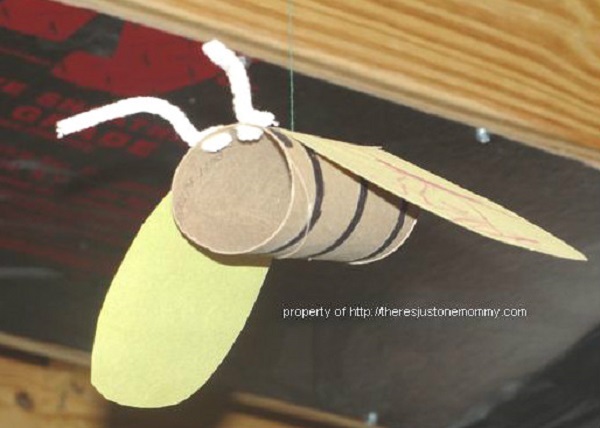 Recently we had fun with this simple cardboard tube bug craft. This was one of our earliest crafts. We’ve had lots of fun making more advanced bug crafts like this fun recycled magazine butterfly craft since then. We used these fun cardboard tube bugs to help decorate our basement play area while the kids were little. The kids loved watching them twirl from the ceiling. First we made cardboard tube butterflies. Use the cardboard tube for the body of your butterfly. Cut wings out of construction paper. Then let your child decorate the wings with crayons or markers. When they are finished decorating, tape the wings onto the bodies. With a hole punch, make 2 holes at the head of the butterfly. Stick cut pieces of pipe cleaners into little holes at the top for antennae. You can also make some cute cardboard tube bumble bees. Use a black permanent marker to draw circles around the toilet paper tube for stripes on the bee’s body. 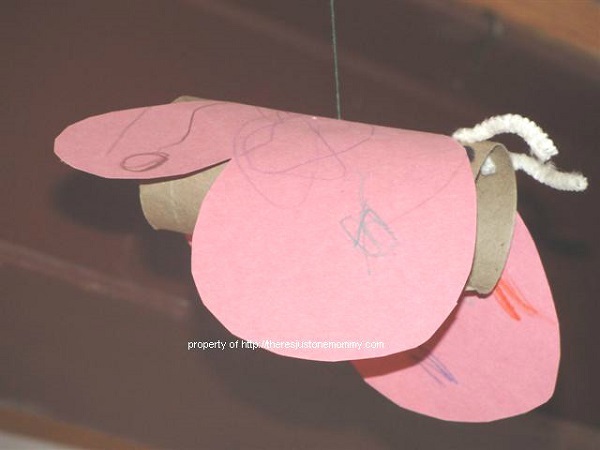 Cut yellow construction paper wings and use tape or glue to attach them. Then add a couple pipe cleaner antennae. You can almost hear them buzzing! 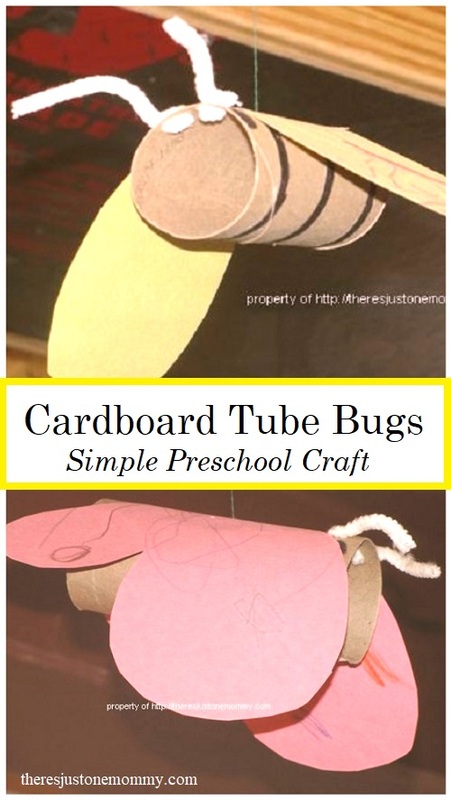 These cardboard tube bug crafts are fun for toddlers and preschoolers.